Имате въпрос към Kalachuchi Beach Resort? Идеален за развлечения и отдих, Kalachuchi Beach Resort се намира в Енрике Вилануева, който е един от районите на Остров Siquijor. Разположен на 27.3 km от най-вълнуващите части на града, този 3-звезден хотел притежава отлично местоположение и осигурява лесен достъп до най-големите забележителности. С удобното си местоположение хотелът предлага лесен достъп до всички градски забележителности, които задължително трябва да се видят. Предлагайки висококачествени услуги и широка гама от удобства, Kalachuchi Beach Resort Ви осигурява възможно най-комфортния престой. Докато са отседнали в този чудесен хотел, гостите могат да се насладят на ежедневно почистване, експресно настаняване/напускане, съхраняване на багаж, паркинг, рум-сървиз. Всички стаи се отличават с грижливо замислени удобства, което гарантира неповторимо усещане за комфорт. Пълният списък от съоръжения за отдих е достъпен в хотела и включва открит басейн, гмуркане, басейн (за деца), билярд, градина. Каквато и да е причината за Вашето посещение в Остров Siquijor, Kalachuchi Beach Resort е идеалното място за една вълнуваща почивка далеч от всичко. Гаранционен депозит в размер на 2000 PHP се изисква при настаняване за разходи или щети, настъпили по време на престоя, и ще бъде възстановяван при напускане. Please note that there is No WiFi in the area and since on an Island, there are occasional brownouts. The place is very secluded which is what we were looking for. There aren't any places to eat around the hotel but the food at the restaurant was delicious so this wasn't a problem. We loved the mango curry which we tried to cook as soon as we got back but still haven't perfected it yet. The staff and people in Siquijor were delightful and very helpful. We had an infant and toddler and they were very accommodating. The facilities were better than we expected with everything really well thought out. Would definitely stay again. 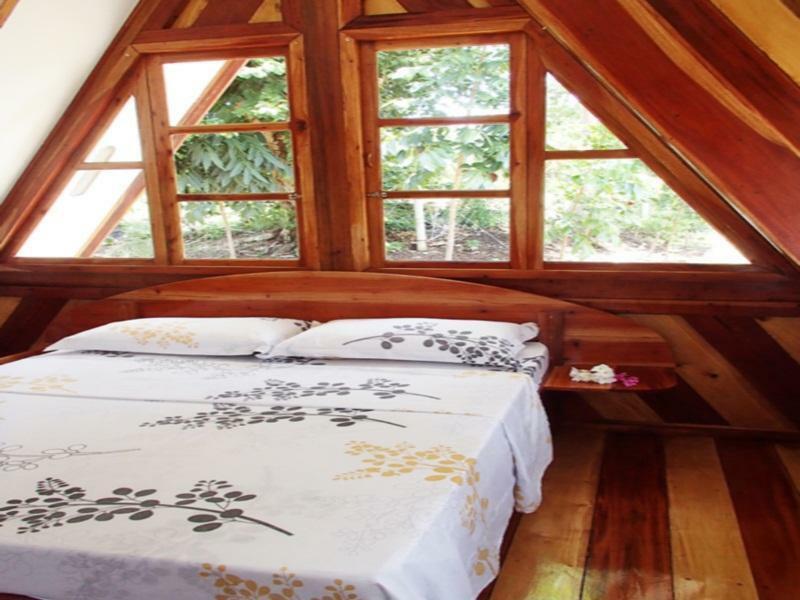 High craftsmanship in the cabins reminiscent of Swiss chalet woodwork in an A-frame style. Warm and friendly staff that handled every request. Highly recommend a scooter or motorbike and the island is easily managed. We had a very good time at Kalachuchi Beach Resort. The location is nice, by the sea, in a quiet part of the island. It is far from most attraction on the island but if you like riding a scooter then its great. The room was huge and nice, clean and the staff and owners very helpful in guiding us, renting a scooter and having a chat overall. The pool is also nice and the overall resort set up pretty cool. We would definitely be back. Staying in this resort is very recommendable for lovers of nature, silence, individuality and sustainability. The staff is very attentive and the service very personalized. The beach is not ideal for swimming (extremely shallow), but with the amazing pool it is not something you will miss. You can watch fireflies from the restaurant, chicken seeking their sleeping places high up in a tree and flowers blooming literally almost everywhere. The cottages are very well designed and unique and at the same time very well thought through with regard to their functionality. Kalachuchi is the perfect place to recharge your batteries with energy! I thought the resort was beautiful... The cottages, restaurant and pool area. Perfect blend of native Asian and modern touches. The staff were great, their service and smiles were so warm. The owners Marcel and Rolf are amazing hosts! Rolf is a very funny guy with tons of stories to tell. Very nice and quiet serene place. The beach front wasnt much and the restaurant had a limited menu but given the secluded location, it was more than okay. The owners were very hands on and the rest of the staff was very polite and helpful too. The food was pricey but worth it. Villas were superb and kinda makes you wish there's a Kalachuchi resort in every tourist destination. Will definitely come back if we can! Thumbs up! Greeted with cold face cloths off the ferry, this was very high-end treatment for the Philippines. The Cabins are very spacious, 2 levels, uniquely/artistically decorated, modern, clean and spaced out from one another with your own private lounging area patio out front. Very surprised at how nice these were. The main lodge area is a great hang-out spot, nice pool and relax area, with a very well staffed bar/restaurant with great food. The owner was very friendly and helpful, no worries about English or anything like that. The surprise was in the beach by the place, some reviews say there isn't one... But that is wrong. You can actually walk a pretty nice stretch of pretty, undeveloped and (most importantly) quiet and uncrowded palm-lined beach (just not at high tide). Not the best for swimming or white sand, but at least it isn't full of algae like many others. I thought it was actually better than San Juan. There are also interesting mangrove trees and many starfish around. We have been travelling in the Philippines for 3 weeks, and this is the best place we have found so far. A beautiful view, very clean lovely rooms, a great pool and amazing food. The owners and staff were all wonderful, and very friendly and helpful. We would go back again tomorrow. A beautifully landscaped property with excellent food and a great pool. On the north side of the island where it is peaceful and quiet. Very welcoming owners and staff. You can rent a like new scooter for 350 per day to explore the island. Try the mango curry from the restaurant, you'll love it. Kalachuchi resort is a phenomenal getaway. It is private, relaxing, peaceful, and the staff is among the best I have ever had. We did not want to leave this place and the staff was the main reason why. They were so warm, caring, and friendly. I would absolutely recommend this place to everyone and can't wait to go back again! Amazing place. We were nicely greeted upon arrival, they helped us to carry our backpacks, brought us a cold drink and helped to settle in. Staff are fantastic in this place, we really felt looked after during our stay. Also facilities are great. 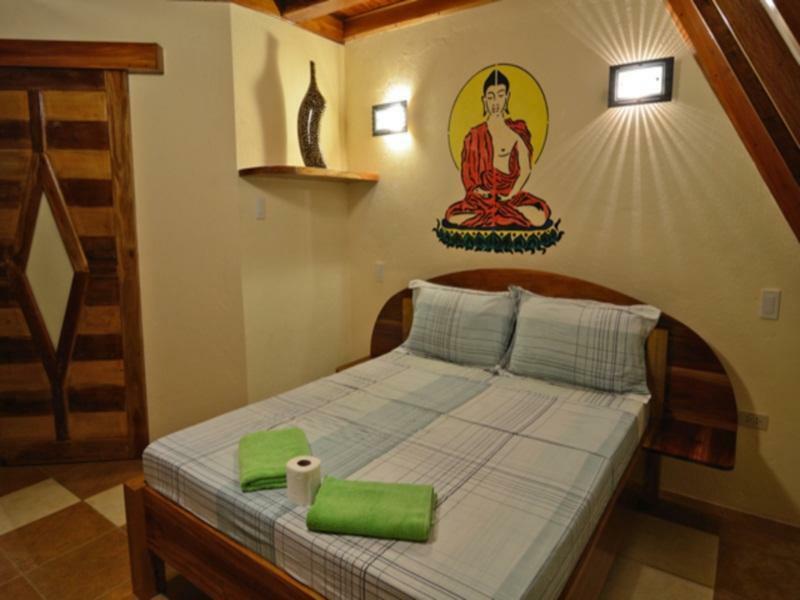 Bungalows are stunningly beautiful with nice large size beds and the most important they are immaculately clean. Great selection of drinks in the minibar for those evenings chilling in the terrace.Swimming pool is lovely as there are no chemicals which is great if you have a sensitive skin.there is direct access to the beach just few steps away from the pool. It's not that great for swimming but if you would like to do some snorkelling that works absolutely fine you just need to be aware that walking distance is few metres until you reach a bit of depth. Also food was delicious cooked to order every single time. We would highly recommend this place and upon our next visit to Philippines we would definitely return here. We really loved our stay here. Lovely welcome with drink and signs when we arrived. The owners and staff are so friendly and helpful! We rented a motorbike off them every day and drove around to San Juan. It’s quite a drive about 50mins by scooter. But the location suited us, lovely views of the sea, close to kiwi dive resort which we used to go diving . We stayed over new year and we were getting up early to get a boat so we didn’t do anything for new year but the owners shouted us a new year drink and bottle of wine which was unexpected but a lovely gesture. They sorted out a tricycle for us to get to the port at 4am and it all ran smoothly. Rooms were huge!! Lovely grounds want to go back! We visited the resort over Easter and had a great time. The accommodation is lovely and the setting is so peaceful. We had fun in the pool, snorkled in the sea, chilled out on the sun loungers overlooking the ocean and watched the stars at night. What made the holiday fantastic though was the staff. The owners where great and went that extra mile especially after my sister had a minor accident (nothing to do with the resort) and all the other staff were friendly and attentive. We will definitely be going back and would recommend this resort if you want to visit a great island and stay in a peaceful, uncrowded and relaxing setting.